Saroyan's talent was first projected to the world through the medium of an Armenian-English newspaper, Hairenik of Boston. In 1934, at the age of 26, with the publication of his first book The Daring Young Man on the Flying Trapeze, William Saroyan became an overnight literary sensation. His first successful Broadway play was My Heart's in the Highlands in 1939, and in the same year, Saroyan was the first American writer to win both the Drama Critic's Circle Award and the Pulitzer Prize for his play, The Time of Your Life. He refused to accept the Pulitzer Prize on the grounds that, "Commerce should not patronize art...," and he added, "it is no more great or good than anything else I have written." Saroyan is unique among writers. He acknowledged the Armenian culture as an important source of literary inspiration, especially notable in the book-of-the-month choice, My Name Is Aram, in 1940. In 1943, another book-of-the-month choice, The Human Comedy, was dedicated to his mother and made into an MGM movie which won him an Academy Award for Best Writing Original Screen Story. William Saroyan achieved great popularity through the thirties, forties and fifties. During his lifetime, he published over sixty books. His works have been translated into more than two dozen languages and have sold millions. To fully enjoy Saroyan, either in prose or on the stage, you have to be "with" him. This may require effort, but once you are with him, he can take you places you have never been before. Saroyan writes humanely and powerfully, with restless enthusiasm. His major themes are aspiration, hope and honesty; materialism and success mean nothing. His works show the basic goodness of all people, especially the obscure and naive and the value of life. He once observed that he needed to write, "Because I hate to believe that I'm sick or half dead, because I want to get better; because writing is my therapy." In the last book published during Saroyan's lifetime, Obituaries, he wrote: "My work is writing, but my real work is being." Saroyan spoke for Armenians to the world. He gave international recognition to his people at a time when they remained dispersed and continued to meet with prejudice and outright hatred. He brought more public understanding to the culture and the quality of the Armenian people, than any other person in the history of the Armenian experience in America. By international standards, he is very likely the most famous literary figure produced by his ancient people. William Stonehill Saroyan was born in Fresno, California, on August 31, 1908; the 4th child of Armenian immigrants Armenak Saroyan preacher and poet, and Takoohi Saroyan, of Bitlis. On May 18, 1981, he died of prostate cancer at the age of 72, about a mile from where he was born. "Everybody has got to die," he said, "but I have always believed an exception would be made in my case. Now what?" 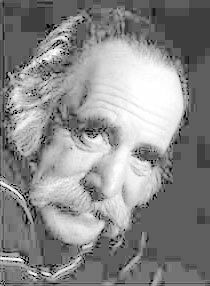 William Saroyan died, an artistic era ended. He loved America, but he did not forget Armenia. Saroyan wanted his heart in the Armenian highlands. A year after his death, half of his cremated remains were permanently enshrined in the Pantheon of Greats in Yerevan, Armenia, while the other half remained in Fresno, California. On May 22, 1991, William Saroyan was the first and only individual to be jointly honored by the USA--as part of its Literary Arts Series and the USSR Postal Services on their Commemorative Postal Stamps. First-day-issue ceremonies took place simultaneously in Fresno, California, and in Yerevan, Armenia. The number of unpublished manuscript left by William Saroyan, surpasses the massive bibliography of his published works. Since his death in 1981, over 15 books have been published about his life and works.